With Team Anna set to join the political fray, Sri Sri Ravi Shankar speaks to Aditya Raj Kaul on exactly what kind of social change he wants to see in India. Team Anna has formally announced a decision to float a political party as an alternative for the masses. How do you see this step in the context of the anti-corruption crusade? I strongly believe that people are people no matter what party they are in. It really does not matter unless and until we instil strong character, commitment and vision in the people of our nation. Without that, corruption cannot be eliminated. There are good people in every party and there are bad elements in every party. In fact, what is really needed today is strong support for people with integrity. So will Art of Living support and campaign for election candidates of Team Anna's party? 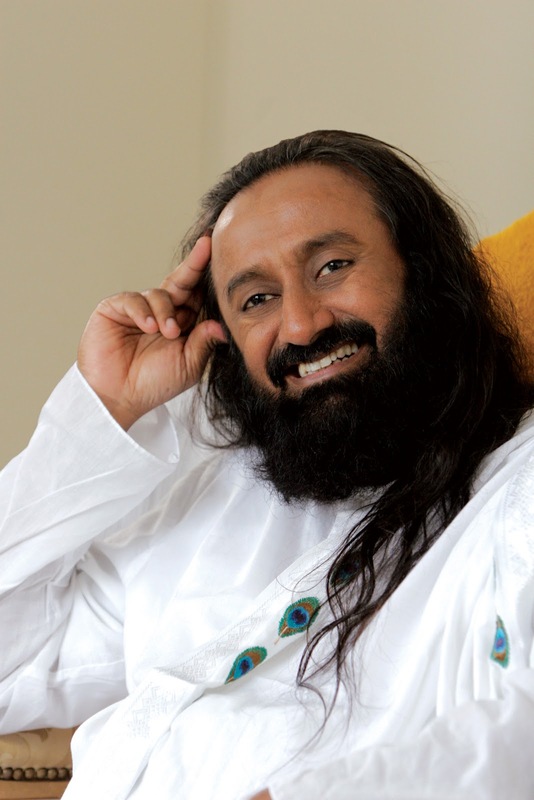 Art of Living will not be part of any political party. I will continue to support the anti- corruption crusade. In fact, it was Art of Living that started a crusade against corruption and terrorism on March 1, 2009 at Jantar Mantar. On that day Kiran Bedi and Arvind Kejriwal also came and spoke as a police officer and an RTI activist respectively. Later in 2010, India Against Corruption was formed which included Baba Ramdev, Anna Hazare and others. However, I have no intention to campaign for anybody although I encourage honest and patriotic individuals to join the electoral process, as we did with several Maoists from Jharkhand and Bihar in the past. Anna Hazare has distanced himself from contesting elections. Do you think it is important for certain public figures to remain apolitical? to be when you become part of a political set-up. Social activism and the apolitical nature of it was the reason why many people joined this anti-corruption movement. Will the movement suffer now that the campaigners plan to give it a political colour? Actually, it may be the other way around. People are fed up with corruption and when you say so-and-so are corrupt, the people want an alternative to him. Without a political alternative, there could be anarchy and chaos. Suggesting an alternative can be seen as the only positive step forward. Will you be joining the agitation launched by Baba Ramdev (on August 9, 2012) at Ramlila Maidan like all other members of Team Anna? The cause of Baba Ramdevji is good. We are all united in the cause to bring back black money and fight against corruption though our working styles are different. Art of Living does mass awareness campaigns and encourages people to take vows against corruption for only laws alone cannot bring reforms. The reform has to come from within. If everyone reading this interview takes a pledge to stay away from corruption for a year, the country will see a big difference. Do you agree with the methods of Team Anna like fasting to pressure the government for Jan Lokpal Bill or shaming 15 ministers of the UPA government who have been accused of corruption in the CAG and other reports? I endorse fasting for spiritual and religious reasons. Fasting for political reasons is not my favourite. As far as the ministers are concerned, according to my knowledge, three honourable judges of the Supreme Court and High Court had prepared files giving solid evidence against these ministers. I have not seen the files myself. If this is true, people have a right to know.